I have a 2015 CLA 250 4Matic with flex fuel. I need to add some coolant and the BeVo 310 sheet shows that spec 325.0 (G-05) is ok for passenger cars up to April 2014. Sheet 325.5 (G-40) says not to use in passenger vehicles. Does anyone know what a 2015 CLA 250 uses? 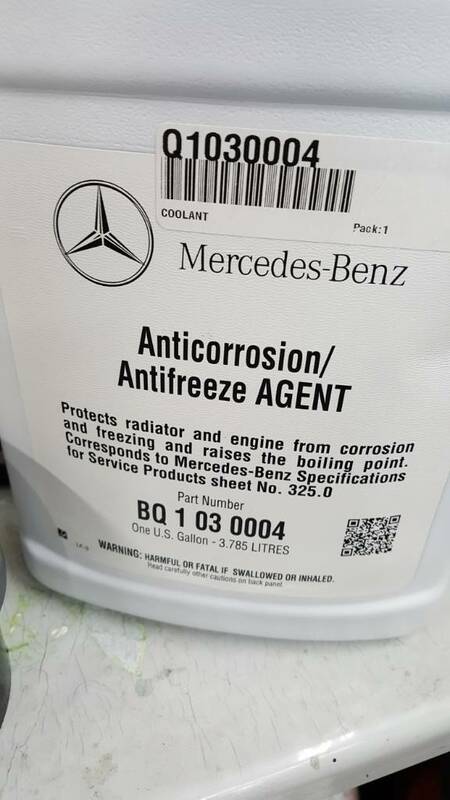 Safest bet is get the same coolant from the dealer? This is for the CLA250. It's a concentrate which means you gotta mix it manually with DISTILLED water @ 50/50 ratio. Is that the blue one? Rapidfirerob, Rapidfirerob and Rapidfirerob like this. AMSOIL has a option, but just plain old green?